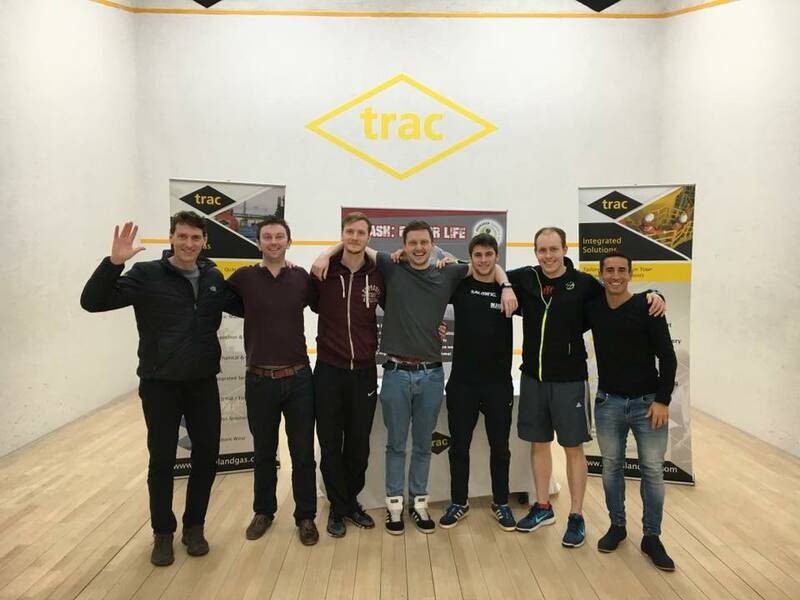 2018’s TRAC Oil & Gas North of Scotland Open was the 5th Anniversary of Aberdeen Squash & Racketball’s partnership with TRAC Oil & Gas. This year we added a W5 to our existing M10, a big milestone for us and one we hope to build on. 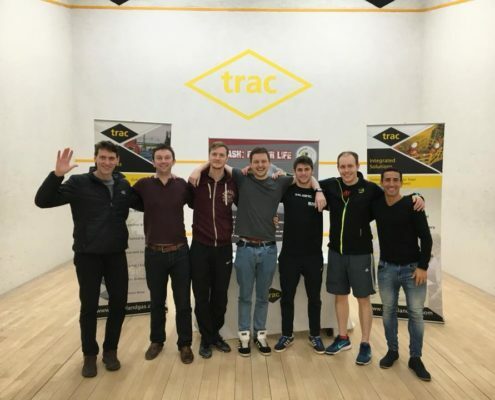 TRAC’s aim is to promote sport in the local community and their sponsorship allows us to make spectating free to everyone. This paid off as we had 3 schools as well as many members of the public, club members and supporters from around Scotland attend. The goal here and always is to inspire more people to pick up a racket: hopefully we’ve gone a little way further towards that. The club also ran a fun tournament albeit with a fairly sizeable cash prize pot donated by AW Autotech, our local Aberdeen auto repair specialist. This attracted players from around the country and really bolstered the social side of the event. We had 60 competitors playing over 3 days. 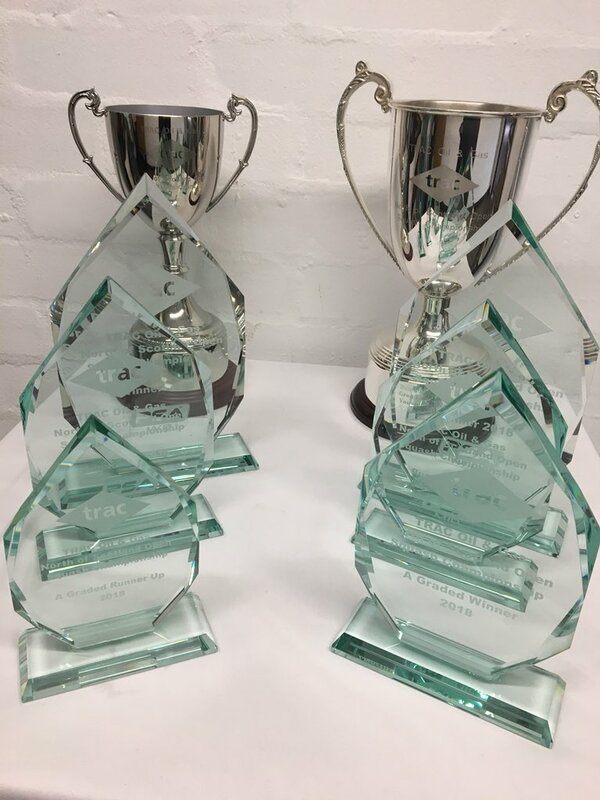 Top honours went to PSA professional Robbie Downer and Scottish Internationalist and locally titled ‘Glasgow boy’ Stuart George. The whole event was a roaring success, meaning the club was packed with players and supporters. 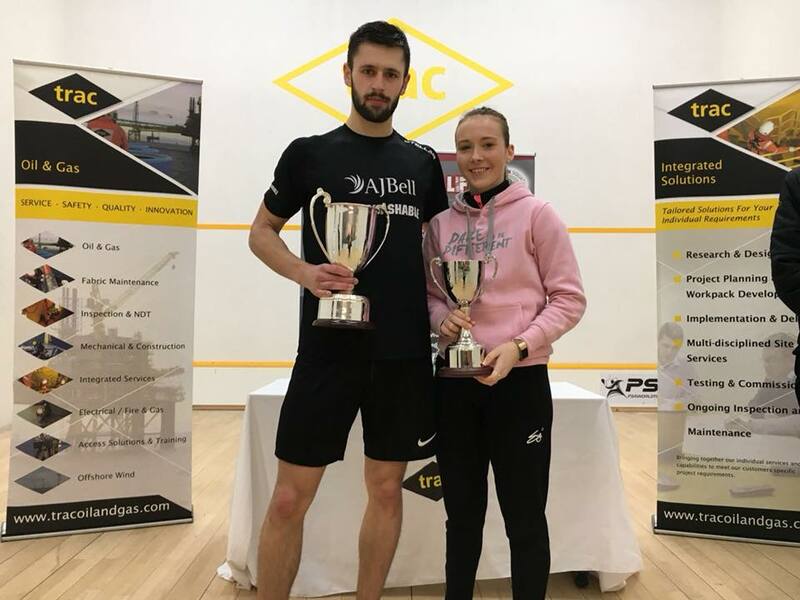 The Ladies’ W5 event was headed up by Scotland’s no1 and world no60 Lisa Aitken along with 7 other Scottish locals and up-and-comers in the draw. 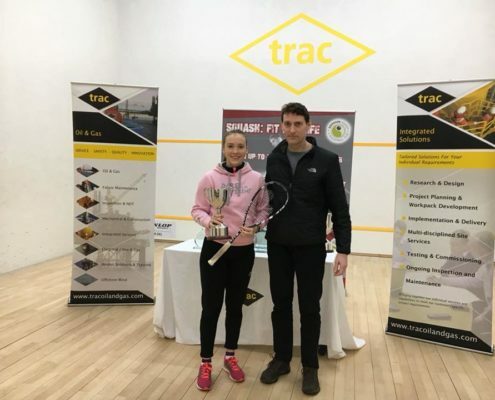 England’s hotly tipped future superstar, world no 66 Lucy Turmel was second seed. 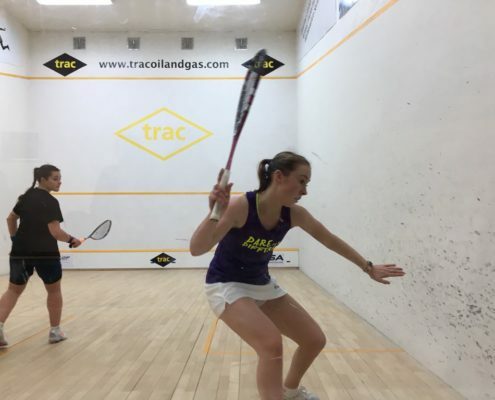 Lisa bowed out in an upset 2-3 loss in the semi-finals to England’s Kace Bartley. 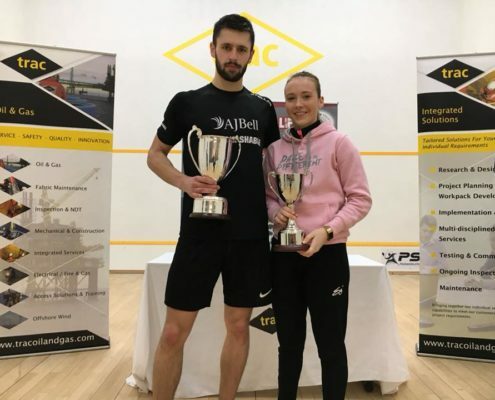 Kace played mature, relaxed squash, seemingly completely unfazed by reaching her first PSA tour final having taken out the top seed along the way. 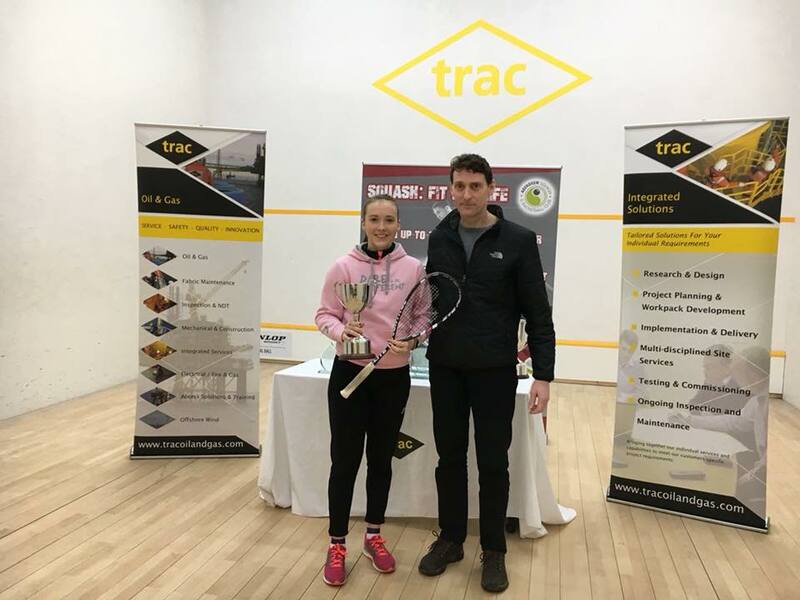 Lucy Turmel was pushed hard in her semi-final by rival and Spanish no1 Cristina Gomez, winning a tight 3-0. This was a revenge performance for Lucy against Cristina; the Spaniard having beaten Lucy recently in Italian League. Lucy and Kace put on a fantastic final. 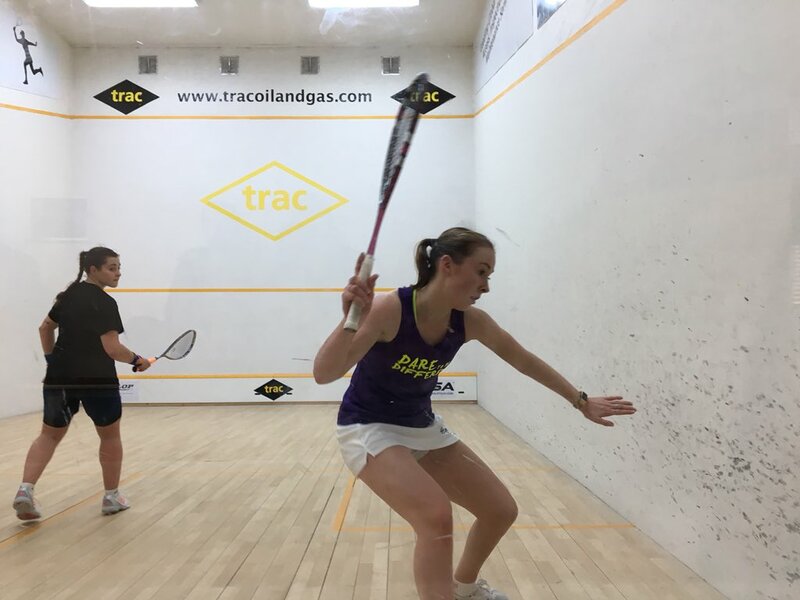 Lucy played at high tempo, forcing Kace into all 4 corners of the court and limiting the options for Kace to use her racket skill and shot-making ability. Lucy emerged victorious 3-0 and claimed her second PSA world tour title of surely many more. The Men’s M10 event was full of drama. In fact it was one of the most entertaining draws we have had from start to finish. England’s Josh Masters, world no 53 topped the draw ahead of world no 55 Peter Creed of Wales. Performance of the tournament definitely goes to Ireland’s Brian Byrne, world no 149. 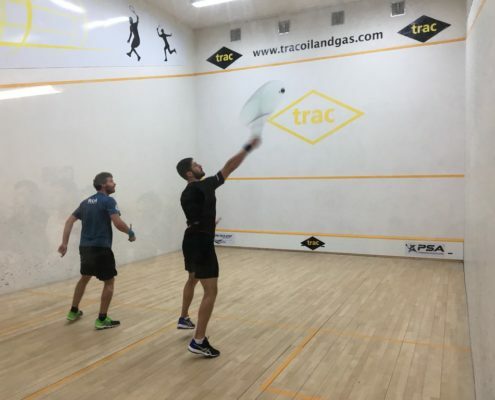 Brian won through 2 rounds of qualifying to earn a main draw berth vs England’s Patrick Rooney, ranked 56 places higher in the world. Brian settled to the conditions much better than Patrick, perhaps benefitting from his previous 2 matches. Brian moves incredibly well and used his speed to force Patrick to attack with finer and finer margins until a mistake finally came from the young Englishman’s racket. 3-1 to Irishman Brian. Brian’s run in the draw was halted in the quarter-finals by George Parker. Brian can lay claim to being the only player in the draw to take a game from George, going down in a hard fought 3-1. On the other side of the draw, second seed Peter Creed was ousted in the quarter finals in a hugely controversial 2-3 loss to Danish no1 Kristian Frost. Frost is a master at mental warfare and Creed eventually exploded in the deciding 5th game. Maybe not a match for the purists, but it is available to watch back on our YouTube channel (complete with sometimes professional-ish commentary) for fans of drama. The tournament though belonged to George Parker, the world no 63 of England. 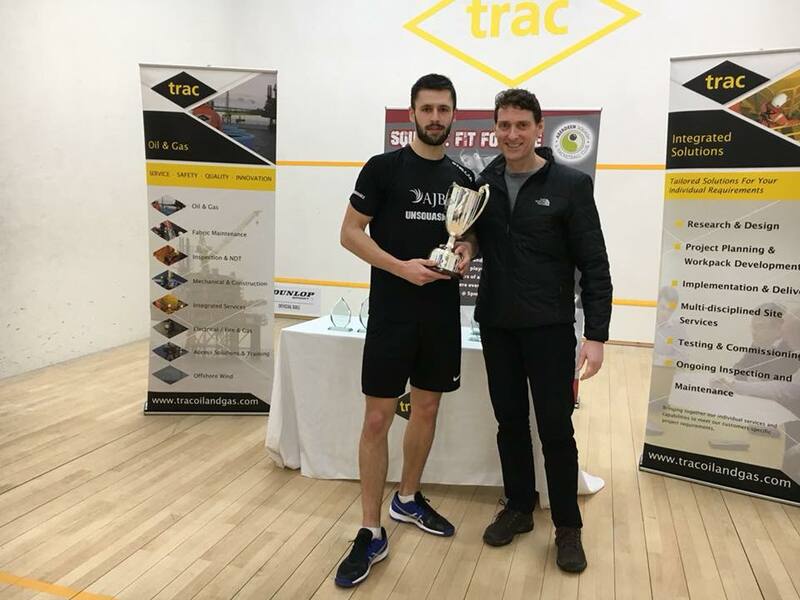 George went through the draw like a steam train, seeing off Aberdeen no1 and local favourite Chris Leiper 3-0 then dealing with the massively in-form Brian Byrne 3-1. 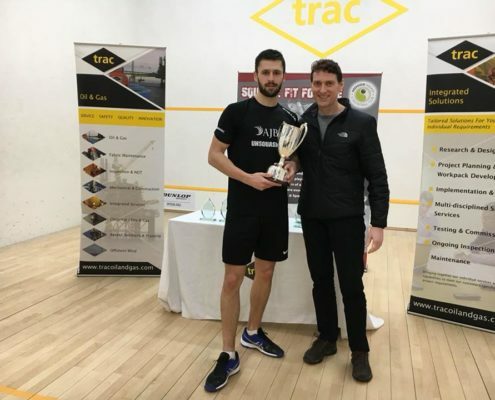 In the semi-final George Parker played top seed and England rival Josh Masters. George plays with a physical intensity that can border on ragged however against Josh he was measured, absolutely fair and brutally effective. 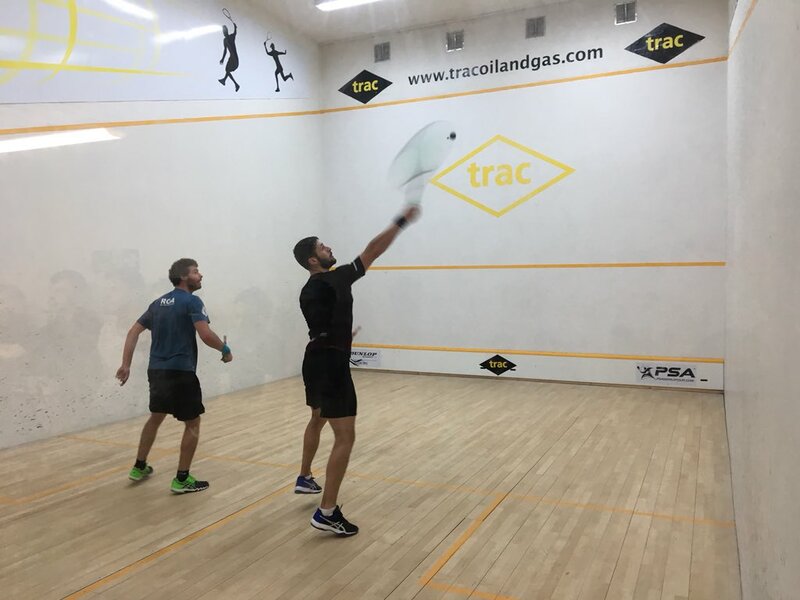 George contained his talented compatriot, giving no angles away for Josh to attack before finishing the rally beautifully with a winner of his own from the first remotely loose shot. Seriously impressive. In the final, George played friend and training partner Jan Van Den Herrewegen. Jan had that tough 5 set match from the night before with Kristian Frost still in his legs and George was relentless. Jan put up a fantastic battle, leaving everything on court but it wasn’t to be. 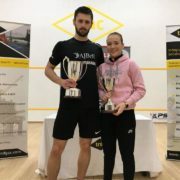 Another 3-0 for George Parker and a deserved title. 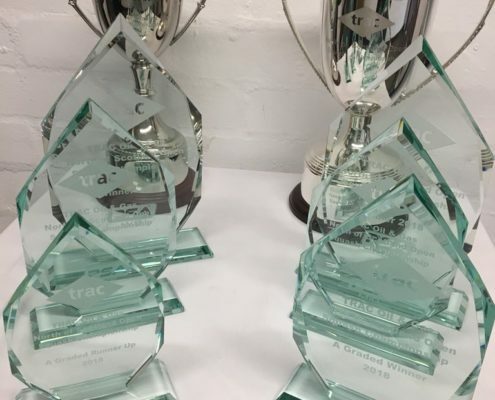 This all helped to make the TRAC Oil & Gas North of Scotland Open exceed what we hoped it would be for 2018. 116 competitors in all draws, national TV and radio coverage and easily surpassing our target of over 1M outreach. Most crucially, local school and spectator viewing was the most popular we’ve seen. A sincere thank you to everyone involved.